Our sweet angel girl is holding a bowl for use as a bird feeder. She comes with a wreath of flowers around her head and watches rather attentively the little bird that sits perched atop her bowl. Made of resin with marble aggregates. Hand made and hand crafted. 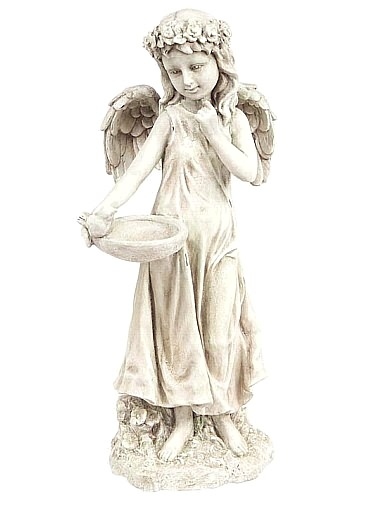 Our garden angel statue holds out an inviting shell to welcome the birds to the garden. Resin.